You’re probably here researching me with reference to my work on my project A Bug Free Mind, or Saltori. This Andy Shaw site used to be the main focus prior to 2010 and then after I changed complete direction we went over to www.ABugFreeMind.com and later www.Saltori.com. We also use www.SecretsofABugFreeMind.com for my work on Mental Strength. A little about me:- My name’s Andy Shaw (BIG SHOCK!) and I’m just an ordinary guy from West Sussex in England. I started out in 1984 as a cabinet maker and spent a few years on an Apprenticeship and then a few years working for A LOT of other people. After getting fed up of being sacked or moving on, or the company I worked for failing I decided at the height of the recession that it was time to go into business for myself. Almost by accident, I met a mate and we started a business together in 1990. We had no formal business training but we still managed to create what looked, to the outside world, like a pretty successful business. But we were miserable. Every day we went to work and struggled with a few factories, dozens of vehicles, stacks of machinery and a workforce who seemingly came to work to make our lives a total nightmare. Even though now thanks to experience and hindsight we clearly lacked the managerial expertise to systemise this element of our business. But we did have an abundance of drive and enthusiasm. After a few years, we worked hard and were rewarded and were able to make an OK living and then once we finally realised that we did not wish to be in that business anymore. We found ourselves in the fortunate position of having a competitor wish to buy us out, so let them twist our arm! 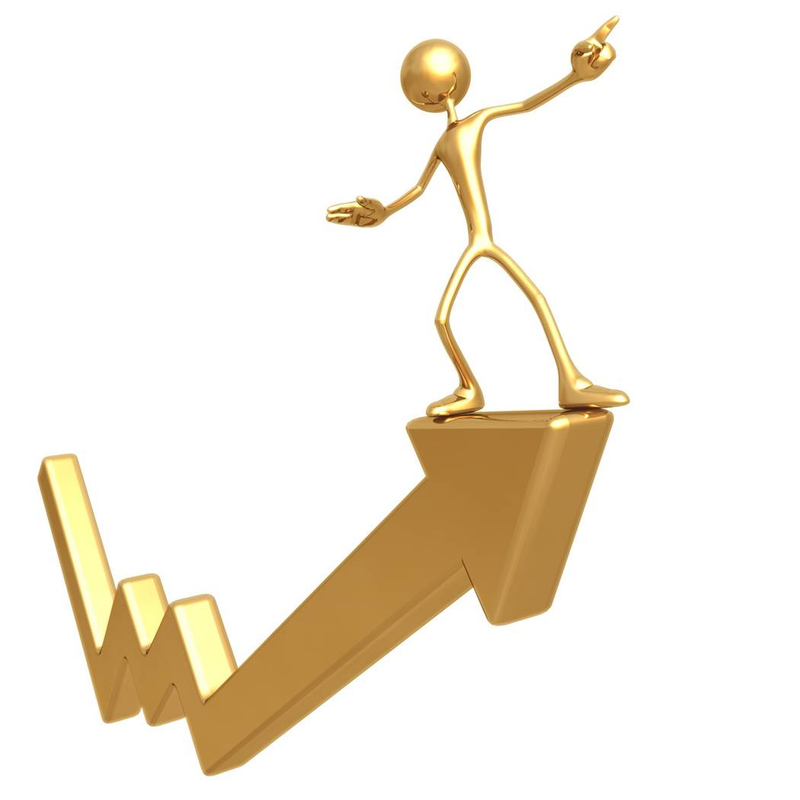 We had become quite successful at property investing before deciding to venture into the business world again. This business was much, much more successful. 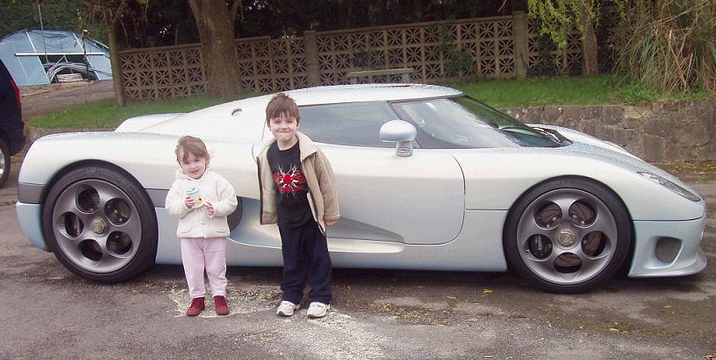 My kids in front of my Koenigsegg – At the time it was the world’s fastest production car and I bought the 3rd one off the production line. But then the credit crunch came along and sales in the business dried up and became non-existent. I could not release equity in my properties when they still had some. Then the inevitable happened and we couldn’t prevent the train wreck from occurring. Quite suddenly and very publicly we failed! For a while, my business partner and I were reviled by many and it was one of the most difficult times of my life. Because of my skills I could have easily gone away and made a reasonable life for myself and my family. However, I had no intention of stopping, I am someone who finds opportunities everywhere. And because of my abundance of mental strength I knew that our failure and bankruptcy was an event and that I was just ‘between riches’. Deep down inside I simply knew I was destined for success – perhaps you feel like that too? 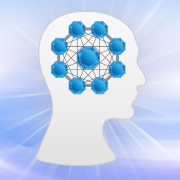 I had previously studied the best books on business, on success and particularly on mindset. I immersed myself in it all and practiced what I was learning and things I created to help myself and then slowly, very slowly, I started to rebuild my life. I wanted to share with you what I have learned – from the good bits and particularly from the bad bits. When I first became a multi-millionaire in the year 2002 I had never ever read a book on success… And it wasn’t until 2004 that I read my first book on the subject – Rich Dad Poor Dad. I was blown away by this book and the next one I read Think & Grow Rich. Here it is I thought, the answer to success, I had to create it on my own because I didn’t know it was clearly written down. But now all I had to do was tell everyone who asked me for help about these wonderful books, then they would be able to experience the success that I was enjoying. But then something strange happened, I discovered that others were reading these books and not succeeding. I discovered that less than 1% of people ever really succeeded at getting what they wanted from life. This literally melted my mind… I couldn’t understand, if they were 99% CERTAIN to fail, then why were they doing it? Why not go and live on a beach? Because success to me was obvious, of course it would happen. Even when I went bankrupt and lost tens of millions I knew it was just a temporary set back which I would certainly turn around and make more money than ever… It was obvious! So I asked myself the obvious question, “Why could I succeed?” and “Why can’t they?” This fascinated me and I had to discover the answer. It took me over five years of thought and countless hours of research to learn the true reason why. But when I discovered it I saw how everyone was failing, and I saw how I could show everyone how to succeed no matter what circumstances they were in. After I went bankrupt I very nearly went and made a lot of money again quickly, but fortunately I was awake enough to notice that was the wrong path… Instead I felt a need to share what I could… Sure it wasn’t going to make me rich fast, but I didn’t need it to. I had lost my fortune but the one I had created for my wife was still intact… A little weathered maybe, but primarily intact! So I decided from that point on I would only do work I loved to do. 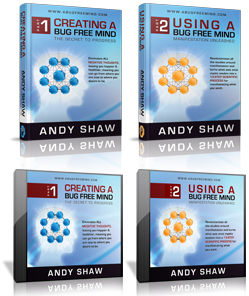 I decided to create the Bug Free Mind process which was designed to take off where Think and Grow Rich had left off. It is designed to do something which no other author had ‘noticed’ needed to be taught. I designed it to be the prequel to learning anything. I found what was missing from ALL education and personal development work, and I put it into a process. 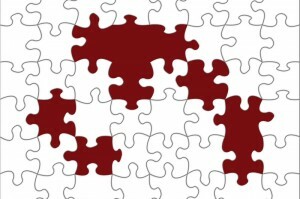 The Bug Free process is the Rosetta Stone, a panacea and it is the missing piece in the successful life jigsaw puzzle for all who want more than they have. It is designed to give them simple and easy to apply techniques which give them the happiness and stress free life they deserve. My favourite bit of what I get to do now is reading testimonial after testimonial from all over the world (140 countries now), where my books have traveled and helped change the lives of hundreds of thousands of people already. And I have not even begun yet… Now we hold the biggest Mastermind Annually for people in the Personal Development Industry. Our corporate training company has begun in North America. Soon we have a board game coming out. Not long after that we will begin working with the US military Veterans teaching my Mental Strength techniques. Plus we are in the early stages discussing a comedy TV series, and films, all of which are based around my Mental Strength training. If you have always felt special, like you should be achieving more than you are, if you are seeking to improve your life, even a little, I would like to encourage you to give my free stuff a try. You never know, it may make a difference to your life, like it has to mine. I’m looking forward to the day I receive an email from you telling me about how I was able to help you too.